Patti Allan won the $1,000 Brian Linehan Actors Award for her work in Mimi and Me. 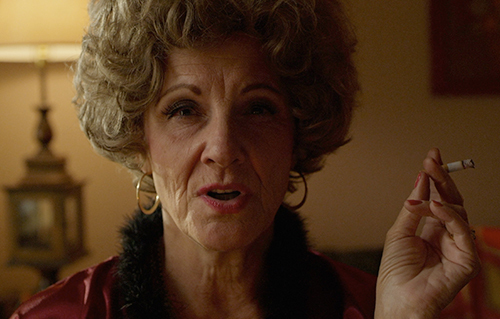 Patti Allan (above) won the $1,000 Brian Linehan Actors Award for her work in Mimi and Me, in the latest round of the NSI Online Short Film Festival. It’s so inspiring that NSI honours filmmaking in such an active and significant way. I’m so grateful for the opportunity to have been cast by our amazing director, Marly Reed, and am so very happy that her obvious talent, skill and storytelling have been recognized. Actors can often feel isolated and insecure in our roles and this kind of acknowledgement is extremely uplifting. Thank you to Brian for his visionary desire to inspire and encourage people. What a truly amazing value and legacy to have left us very fortunate recipients. Patti was also nominated for a Leo award for her work in this film. Audiences will recognize her for her work in Ramona and Beezus, Good Boy!, Dead Like Me and Cold Squad, among other roles. Mimi & Me from Marly Reed on Vimeo. Read the full awards news release.